Dressed in lab coats and gloves, schoolchildren extract their DNA and trace bloodstains. Universeum, Chalmers University of Technology and the University of Gothenburg are in charge of the Molekul project, which aims to inspire children and get them interested in the marvellous world of molecules. ‘The children love it when real scientists visit their classroom. They often associate scientists with a stereotypical Nobel Prize winner, which is an older distinguished man. In reality, though, scientists come in all forms – young and old, women and men,’ says Viktoria Hurtig, instructor at the Universeum science centre. IN ONE OF THE labs, the schoolchildren get to extract their DNA from mouth cells. The lab session starts with an introduction about what DNA is, where it can be found and how it is used in criminal investigations. DNA found at a crime scene is analysed using special techniques to isolate and identify small amounts of DNA. One important method used is called PCR, which stands for polymerase chain reaction. This method can be thought of as a copy machine for DNA. TO COLLECT mouth cells, the children rinse their mouths with salt water and then scrape their teeth against the inside of the cheek. To extract the DNA from the cells, the solution is heated to 99 degrees Celsius. At this temperature the cell walls break, releasing the DNA. They also need to put the samples in a centrifuge and spin them twice. Then the scientists bring the samples back to the Lundberg lab where a small part of the DNA is copied using PCR. ‘The actual copying process takes a long time. The kids would have to wait for hours. So we do that part for them and give them the results when we return to the class. We carefully mix the samples to make individual identification impossible, since we’re not allowed to handle them on an individual basis,’ says Marie Kannius Janson, researcher at the Department of Chemistry and Molecular Biology. IN ANOTHER LAB, the children trace bloodstains. By spraying a substance called luminol on a stain, it is possible to determine whether it is blood. The iron in blood catalyses a reaction in luminol that makes it give off a bluish light. ‘If the stain turns blue, it’s blood. The police use the same method in their crime investigations. The spray is designed not to harm the DNA, to make it possible to determine who the blood is from,’ says Jeanette Nilsson, researcher at the Department of Chemistry and Molecular Biology. The blood used in the lab is from reindeer and oxen, and can be purchased frozen at the supermarket. THE PROJECT reaches out to fifteen schools per semester in western Sweden. In the beginning of the semester, the teachers are invited to a workshop and then each group of children is given two lab sessions. Between the visits, the scientists recommend additional activities that the teachers can do with the kids. ‘We want to enable the children to peek into the world of science and research and to use equipment that is usually not available to them. The response from the schools is very positive,’ says Nilsson. Molekul is a project run jointly by the Universeum science centre, Chalmers University of Technology and the University of Gothenburg. It started in 2008 and its name is a play on words – ‘kul’ is Swedish for ‘fun’. As part of the project, an instructor from Universeum and researchers from the University of Gothenburg or Chalmers visit 10-15 schools per semester in western Sweden. 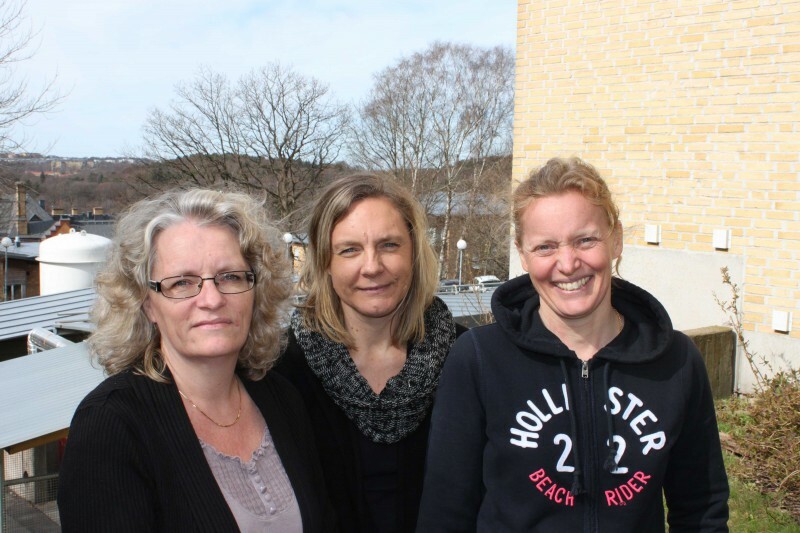 Marie Kannius Janson and Jeanette Nilsson work at the University of Gothenburg, but have Molekul included in their job descriptions – 25 per cent of their work is earmarked for the project, to be exact. They have also helped plan and develop the Crime Lab exhibition at Universeum, which teaches visitors about DNA technology, biometric traces and how you can be identified through your voice.